It seems that mobile gaming is a haven for all the old classics to reappear. 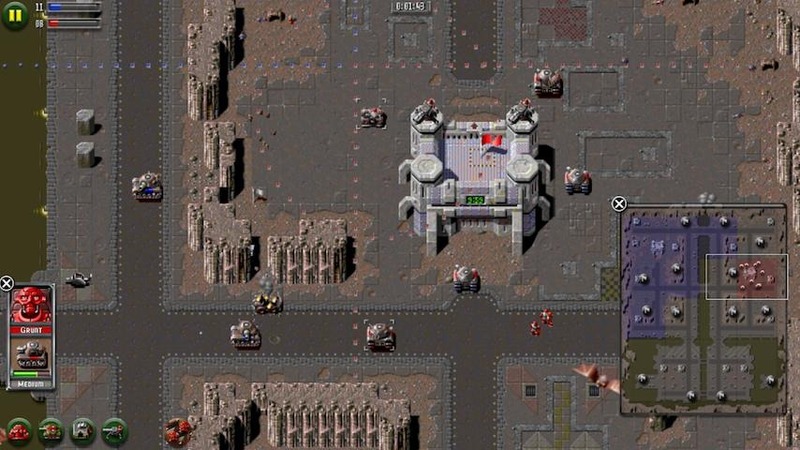 Rising even further from the ashes of the past than most other recent arrivals comes Z Origins, a remake of the RTS from the DOS days simply called "Z" by The Bitmap Brothers. 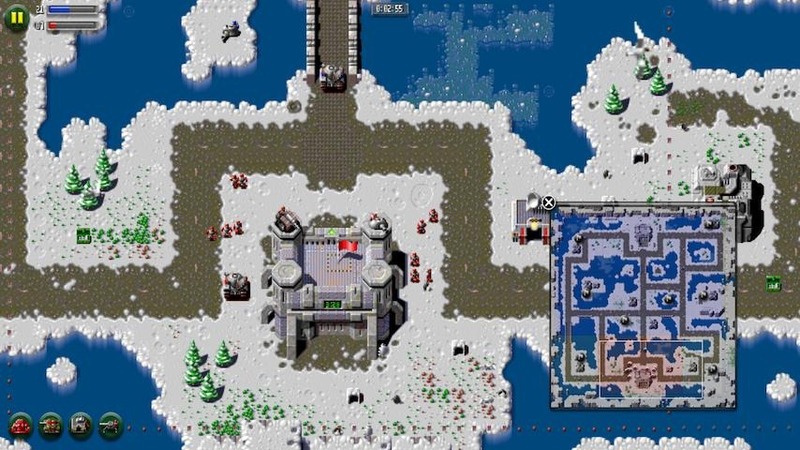 It predates notable fan favorite Command and Conquer from Westwood Studios. 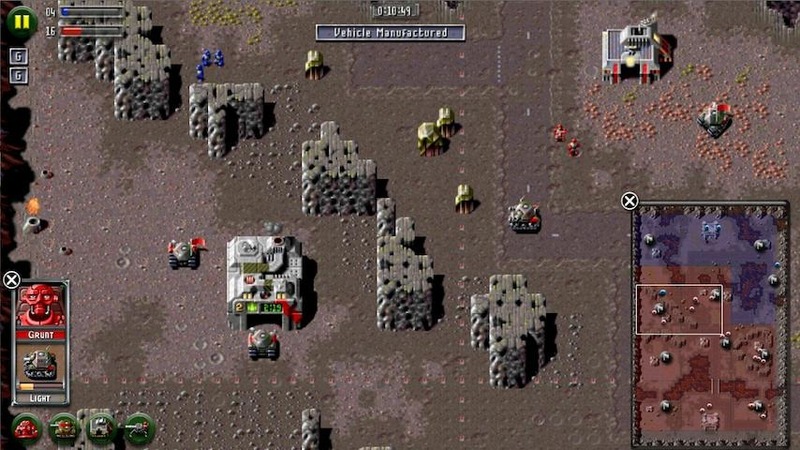 Though it did come out roughly four years after Dune II (also from Westwood) which served as the archetype for most RTS games to follow, Z departs from traditional RTS gameplay in that collection of resources and structure construction as a requisite for certain units were not part of the game. The game, whose mascot appears to be the Demo Man in an earlier profession, is fairly straightforward. Red robots versus blue robots. Now go kill each other. The UI is delightfully 8-bit, hearkening back to the days when times were simpler. When men killed what they ate and command lines weren't nerdy, they were a way of life. 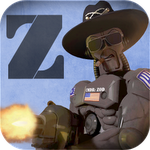 If you'd like to relive the glory days, or just blow stuff up, the game is currently available on the Play Store for $2.99.